The Bitcoin Cash hard-fork on November 15, 2018, resulted in two coins. Now, many exchanges recognize Bitcoin Cash ABC as Bitcoin Cash with a separate listing for Bitcoin SV. Let’s take a look at how the Bitcoin Cash ‘hash war’ started and its implications moving forward. What is Bitcoin Cash, Where Did it Come From? Bitcoin Cash (BCH) came into existence in August 2017, but the fundamental argument behind its emergence traces back to the origins of Bitcoin (BTC) itself – the scalability debate. It was the inability to come to a consensus over increasing the block size limit that ultimately made ‘Bitcoin Cash’ fork off the Bitcoin network. 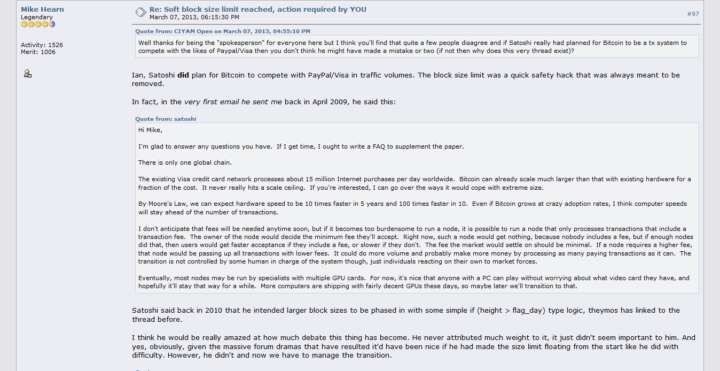 As early as April 2009, the block size limit already formed a debating point on the Bitcointalk online forum. At the time, with Bitcoin still in its infancy, the 1MB block size limit meant that the blockchain would have problems scaling once the network effect grew (more nodes on the blockchain). However, throughout the early days, developers in the community like Jeff Garzik, Gavin Andresen, Mike Hearn, and others, couldn’t seem to reach a consensus. Thus, by the time Bitcoin achieved mainstream status, the 1MB “attributed” to Satoshi Nakamoto block size limit was considered “de facto.” Nevertheless, proponents of the 1MB limit argue that larger blocks would ultimately prevent individuals from running their own full nodes as only large-scale datacenter would be able to verify transactions in the future, resulting in centralization of the network. Fast forward to 2017 with the BTC price and popularity growing; the network began to experience transaction backlogs. Around May 2017, some users complained of having to wait several days before their transactions could be confirmed on the network. Preference was given to transactions with higher fees. Thus, BTC appeared ill-suited for microtransactions. This situation caused serious debates within the community with two main approaches suggested – Bitcoin Unlimited and Segregated Witness (SegWit). Bitcoin Unlimited meant completely removing the block size limit. It also meant that the network would have to hard-fork, which is considered to be a riskier approach since the software client would no longer be backward compatible with older versions. Miners like Bitmain preferred raising the block size limit as SegWit (Segregated witness), would expose the mining giant’s covert ASIC-boosting algorithms. However, those in opposition argued that the move would centralize Bitcoin mining by forcing out smaller, independent miners. It must also be noted that SegWit also raised the block size limit, or to be more specific the ‘block weight’ to 4MB. In fact, the blocks mined by the Bitcoin network today are regularly over 1MB compared to Bitcoin Cash whose mined blocks are much smaller on average. With SegWit, part of the transaction data is stored outside the blockchain creating room for more transactions inside a single block. Proponents argued that is a safer approach (compared to a hard-fork) that also increases throughput capacity. Critics, however, described the approach as only a palliative measure that did little to solve the core problem. On August 1, 2017, the majority of Bitcoin miners signaled for the implementation of SegWit2x – an agreement among predominant Bitcoin companies (BitPay, Coinbase etc.) to implement SegWit and later raise the block size limit to 2MB (hence the “2x”). However, a User Activate Soft Fork (UASF) eventually proved that Bitcoin full-nodes (i.e. users) are ultimately in control since it is they who actually verify and/or reject transactions based on the Bitcoin protocol. Nevertheless, Bitcoin Cash developers elected to increase the block size limit to 8MB meaning more transactions could fit into a single block. This, however, went against the Bitcoin protocol as the vast majority of nodes supported SegWit while leaving the 1MB limit intact. Bitcoin Cash forked away from the original Bitcoin blockchain on August 1, 2017, implemented replay protection, and quickly entered the top-ten cryptocurrency rankings based on market capitalization. This also meant that bitcoin holders also received an equivalent amount of Bitcoin Cash (BCH). The opposing views that resulted in the 2017 Bitcoin Cash hard fork hinged on two distinct economic classifications – Bitcoin as an investment asset and Bitcoin as a payment system – or at least which should be prioritized first. The BCH brigade maintained that Satoshi’s vision was that Bitcoin must become a cheaper and quicker alternative to fiat payments despite centralization concerns. A new opcode called OP_CHECKDATASIG that improves the BCH scripting language to permit the validation of messages from outside the blockchain. The introduction of canonical transaction ordering. Several minor technical fixes and improvements. This ‘upgrade’ had two main goals, the introduction of non-cash transactions like smart contracts and oracle prediction services on the blockchain, as well as canonical transaction ordering to replace topological transaction ordering. Again, not everyone supported the changes in the source code with opponents criticizing the prioritization of non-cash transactions in a blockchain that they felt ought to deal with payments only. With the emergence of two opposing views, it appeared that another blockchain split was on the horizon. Dr. Craig Wright and Calvin Ayre were among the most prominent opponents of the protocol updates proposed by BCH ABC. Craig Wright earned potentially eternal notoriety in the cryptocurrency industry when he claimed to Bitcoin creator – Satoshi Nakamoto. Calvin Ayre, on the other hand, is a billionaire and the CEO of Coingeek, one of the major BCH mining pools. For Ayre, his miners don’t support canonical ordering of transactions and so, opposed the protocol change. The Coingeek CEO also called for increasing the block size limit to 128MB. Wright for his part didn’t see the value of incorporating smart contracts and oracles into the blockchain. 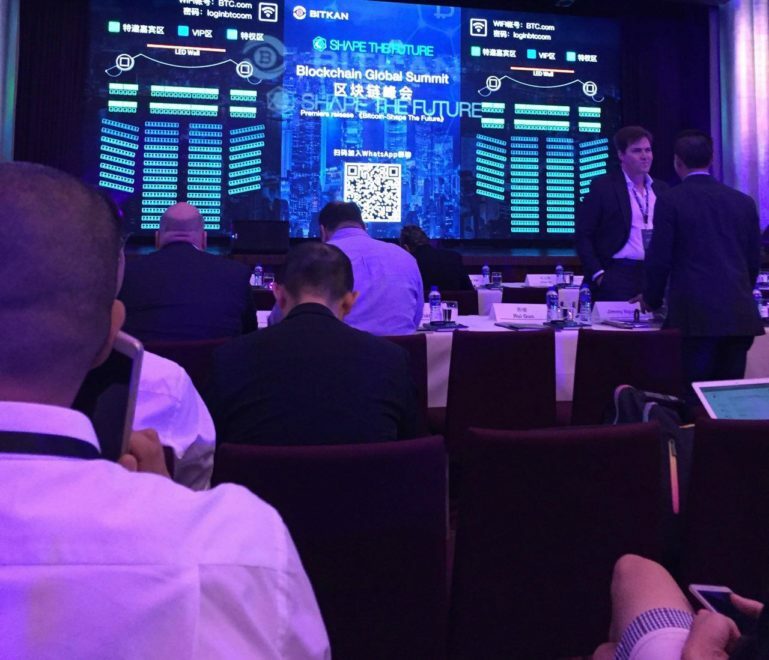 Roger Ver and Jihan Wu were on the other side of the conflict. 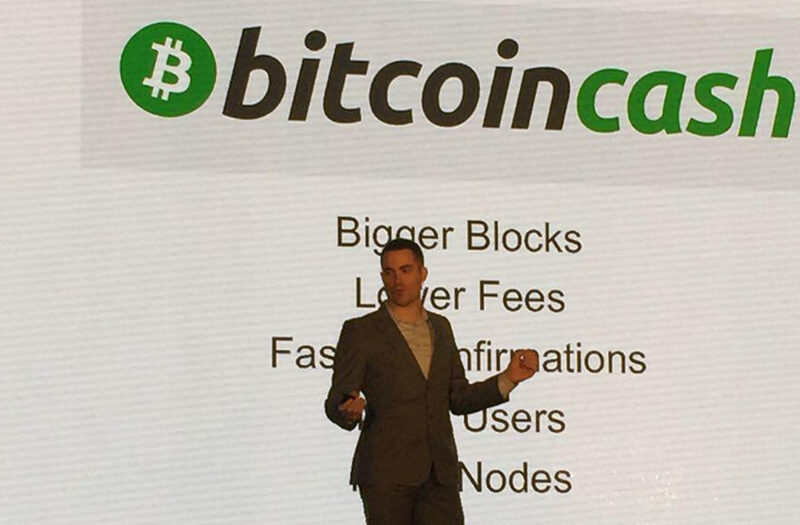 Roger Ver is the owner of Bitcoin.com and was one of the first Bitcoin evangelists who turned into an apostle of Bitcoin Cash. Roger Ver has been heavily criticized for using his Bitcoin.com platform to trick people into thinking Bitcoin Cash is the “original Bitcoin” while labeling Bitcoin (BTC) as ‘Bitcoin Core’ – the name of the most popular Bitcoin software client. Jihan Wu is the co-founder of Bitmain, which apart from being the biggest Bitcoin mining hardware manufacturer, also owns BTC.com and Antpool, which control a significant portion of the Bitcoin hash rate. As November 15, 2018, drew closer, so did the vitriol which became apparent all over cryptocurrency and blockchain news media. The situation was rife with the usual mix of name calling and outright threats. Wu, the co-founder of Bitmain reported called Wright ‘Fake Satoshi,’ referring to the latter’s claim of being the Bitcoin creator. They also blocked or unfollowed opposing actors on several social media platforms. With the Wright/Ayre coalition insistent on their rejection of BCH ABC, nChain released Bitcoin Satoshi’s Vision (Bitcoin SV, BSV). Wright argued that Bitcoin SV embodied Nakamoto’s original vision for Bitcoin. The company created an SV mining pool with miners onboarded in September. For the anti-BCH ABC brigade, the SV client established Bitcoin Cash as a payment protocol. With such heavyweight owners of mining pools backing two different Bitcoin Cash clients, the ‘hash wars’ that followed saw both factions vying for the right to claim the BCH ticker post-hard fork. The D-day – November 15 finally arrived, and the hard-fork resulted in a split, resulting in BCH ABC and BCHSV. Thus, commenced the next stage of the saga; “The Hash Wars – ABC vs. SV.” Both parties, desperate to exert dominance over the other by computing power, concentrated the bulk of their miners to their respective chains. The heated contest even saw Roger Ver direct Bitcoin.com pool hash power from BTC mining to BCH mining to give his side the edge. The goal – win the hash race by becoming the longest chain, i.e., producing more blocks. These actions were not without consequences, however, as it soon became apparent that there would be losses on both sides. Barely a week after the hash rate war, Bitcoinist reported that both sides had burned $12 million to sustain their mining operations, which were unprofitable as the price of BCH fell to record lows. The BTC price also tanked along with the entire cryptocurrency market falling to its lowest level in over a year by market cap. Some commentators attributed the price crash to these so-called ‘hash wars’ particularly after Craig Wright threatened that he’d sell a lot of BTC to fund mining costs. According to Coin Dance, a cryptocurrency data aggregator platform, the ABC faction continues to push ahead of SV based on hashing power – total Proof of Work (PoW) post-hard fork. Major cryptocurrency exchange platforms like Coinbase, Bittrex, Bitstamp, and Kraken began to assign the BCH ticker to the ABC chain. 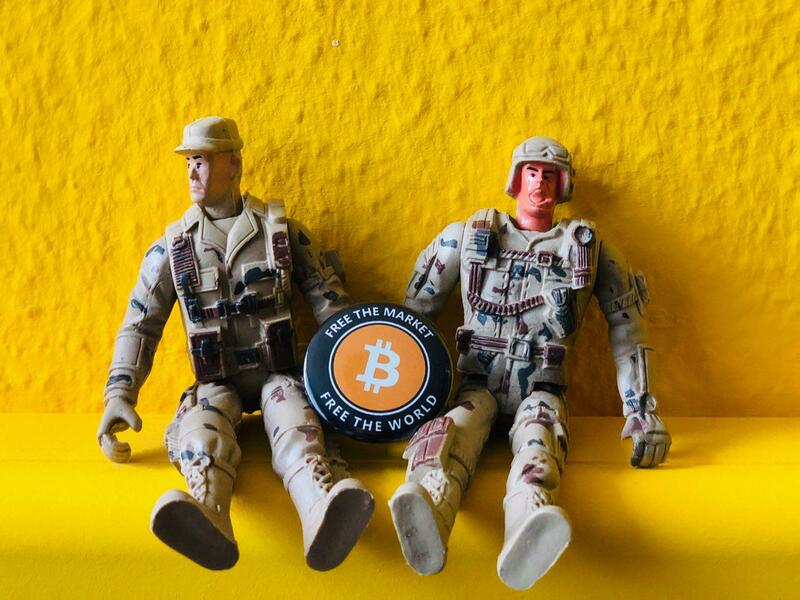 Many exchanges halted trading on BCH altogether during the onset of the war as no replay protection was implemented. Without replay protection, a transaction would be valid on both chains resulting in chaos and disruption. As it became clear that ABC was ‘winning,’ cryptocurrency hardware wallet, Ledger resumed support for BCH. The hardware wallet company, however, didn’t add support for BSV to criticism from SV supporters who claimed that these companies were choosing favorites despite SV having a higher hash rate (from time to time). 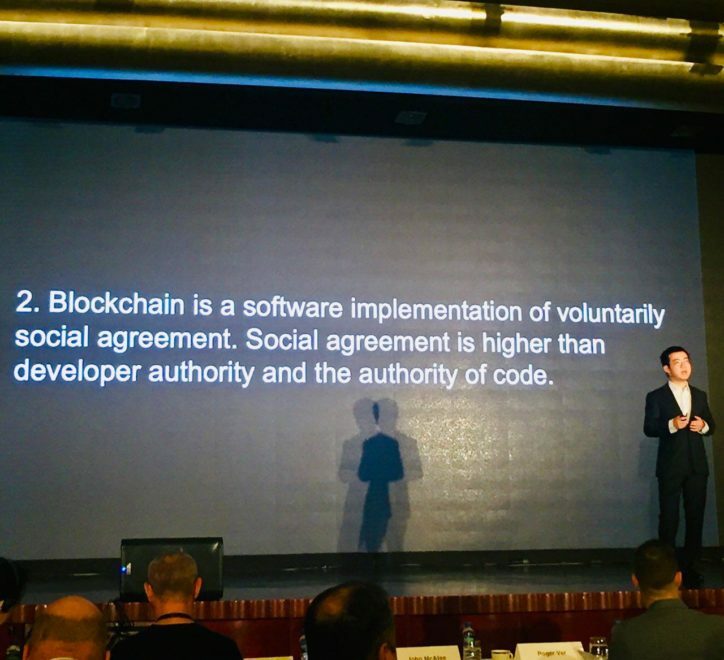 Then Ayre came out on November 23 stating that SV was ready to put an end to the conflict by adding replay protection, which would prevent double-spending on both chains. With this move, those on the fence had to now ‘pick a side,’ as the cryptocurrency landscape now had two versions of Bitcoin Cash. While the ABC vs. SV hash war may be coming to a close, there isn’t any indication of a cessation of hostilities between both camps. Presently, BCH is only marginally above Stellar based on market cap. One critical event to look out for is the next scheduled Bitcoin Cash hard-fork ‘upgrade.’ It will be interesting to see if the Bitcoin Cash community keeps this strategy moving forward, however. As we have seen, regularly scheduled hard-forks may not always be the safest approach to ‘upgrading’ the protocol. What do you expect will happen next in the Bitcoin Cash hard fork saga? Let us know your thoughts in the comment section below.